The journey from Fraser’s Hill to Kuala Lips was an interesting one. First, passing through the Titiwangsa Range of mountains with winding lonely roads which according to elders, you could encounter tigers and other wildlife roaming around there at night during the 50’s. After descending the Titiwangsa range and passing through small towns such as Tras, Raub and Dong which was full of durian fruit stalls and farms by the roadside, I finally reached Kuala Lipis by late evening Stopped for a quick bite and a short trip to a nearby bank to withdraw some much needed cash as the guest house that I booked for the night does not accept credit cards. 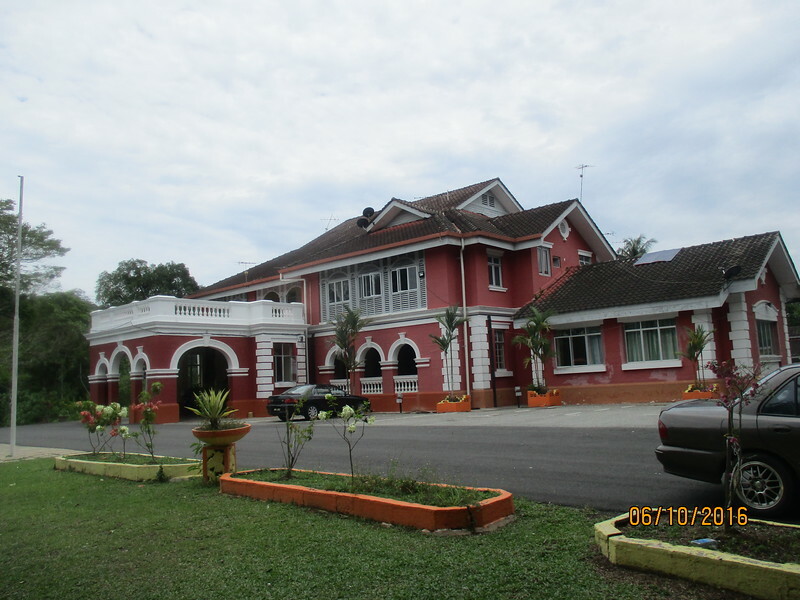 The ‘Clifford Suite’ @ The Residence, Kuala Lipis. The “Clifford Suite”veranda @ The Residence Inn. Arrived at the guest house which was once the residence of Sir Hugh Clifford, the British Resident of Pahang, located on the highest point in Kuala Lipis. 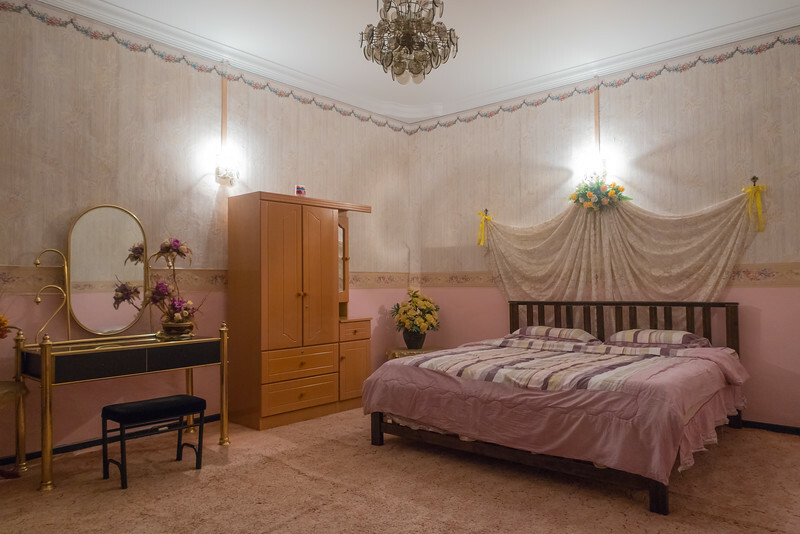 I was billeted in his former room for the night. (Lucky me!) According to my uncle, that building is haunted with his ghost rumored to be roaming around at night but I slept soundly though, tired to the max from driving the whole day. 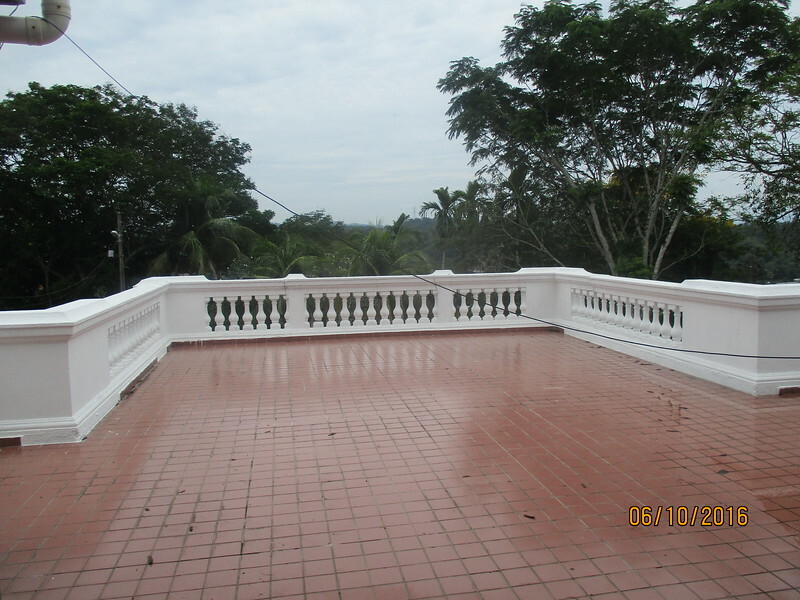 Woke up and I was surprised to see that the room has a huge veranda that overlook parts of Kuala Lipis town. 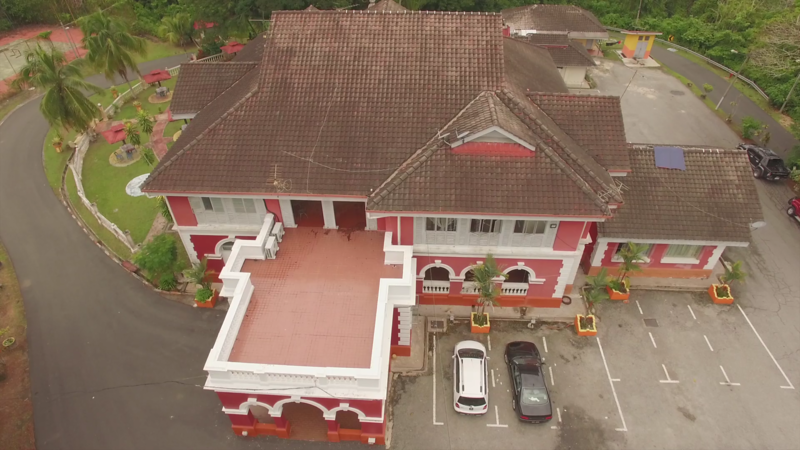 I could just imagine during the days of Sir Hugh Clifford, where he enjoyed the views of Kuala Lipis during the misty sunrise and sunset, with a cup of tea or a glass of gin and tonic in his hand. I was warned also by a friend to look out for wild boars roaming around the area. 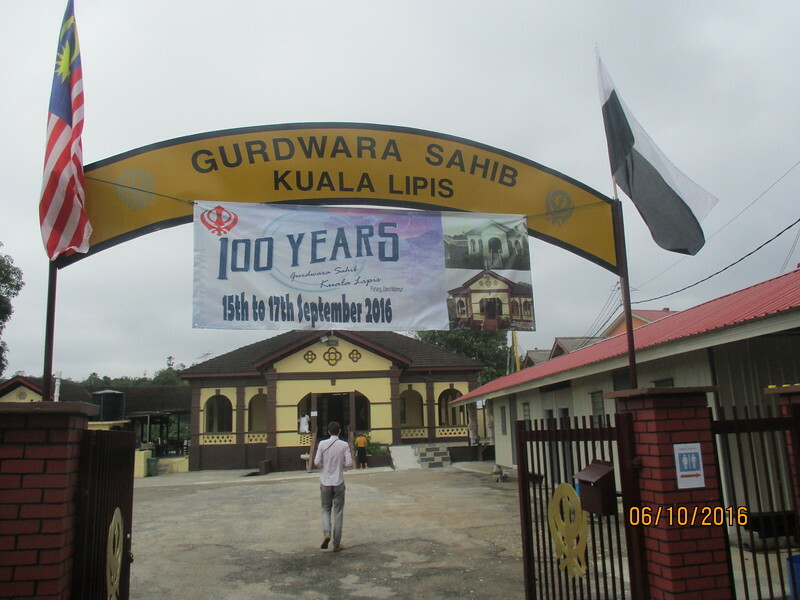 Kuala Lipis or Lipis which is commonly known, was a gold mining centre. In fact there are still some gold mines operating there but on a smaller scale. 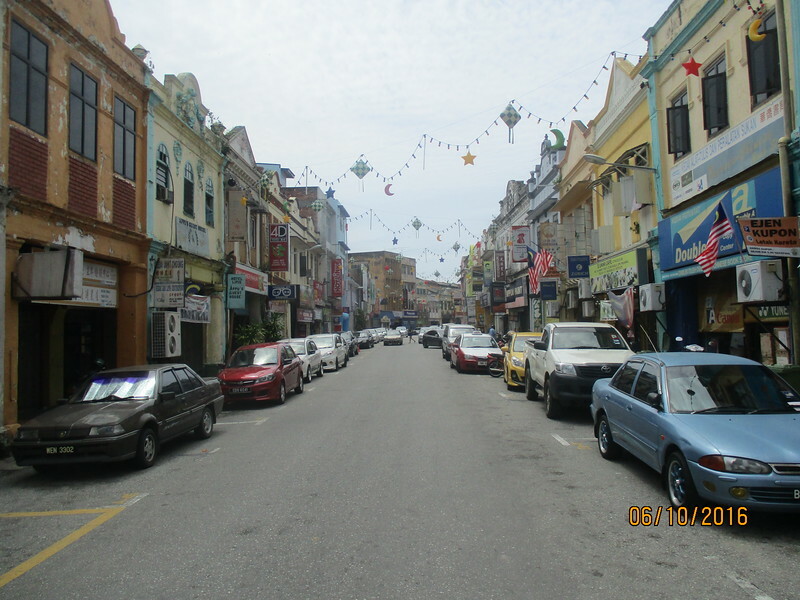 It was the British administrative centre and also the capital state of Pahang from June 1898. 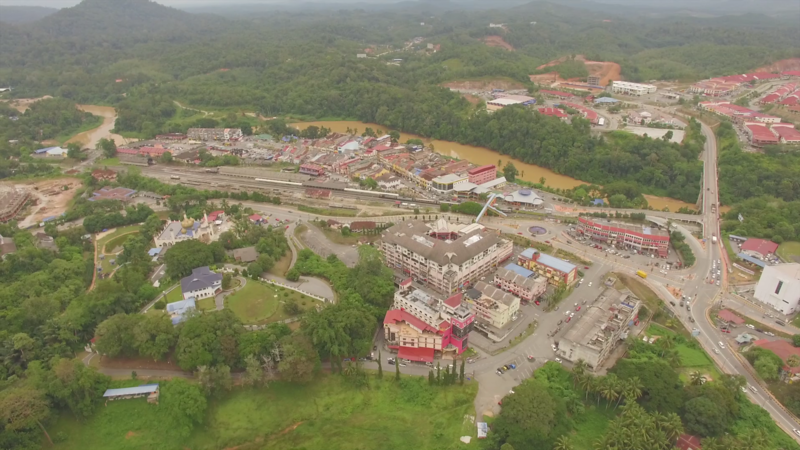 Located at the confluence of the Lipis and Jelai rivers which empties into the great Pahang river, Lipis became a major trading town when the railway was first introduced in 1926. 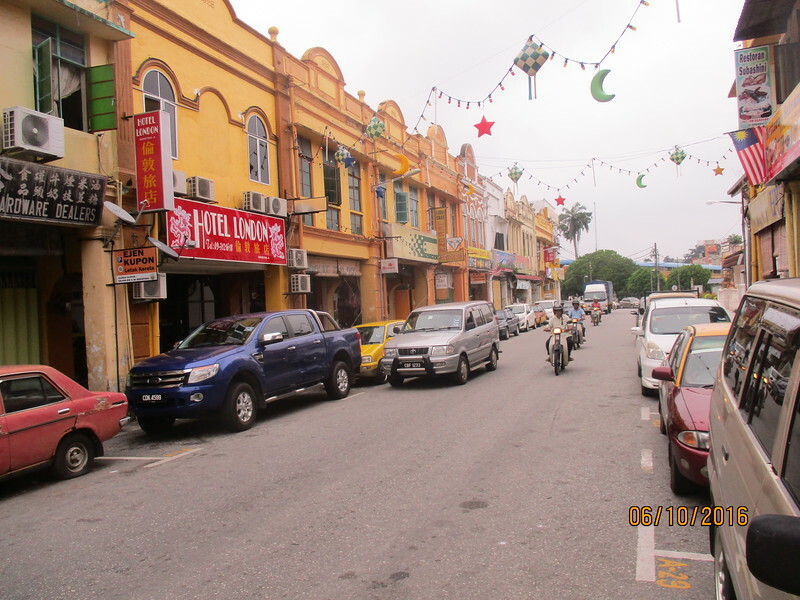 It was blessed with colonial buildings and structures from the beginning of the twentieth century, boomed as a town but its’ subsequent decline was due to the fall in production of gold and tin from the interiors and also due to the capital of Pahang being shifted to Kuantan in 1955. 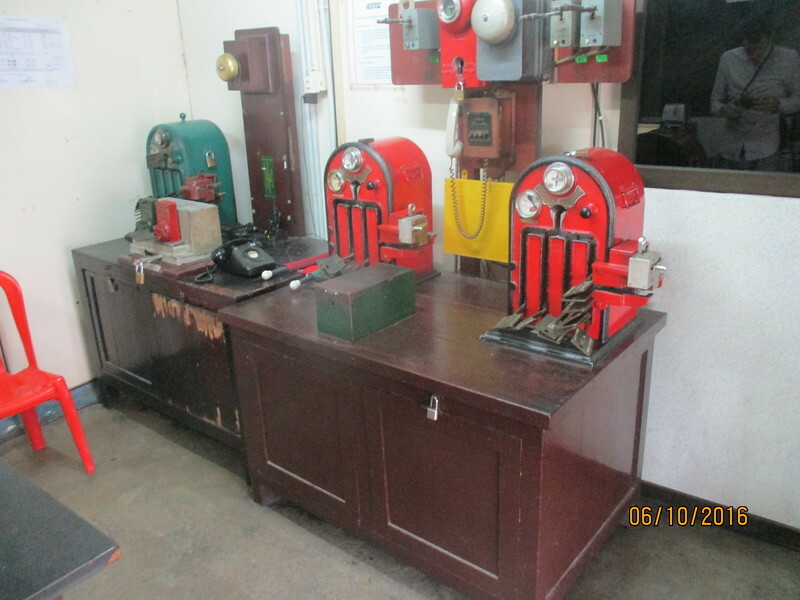 Kuala Lipis Railway Station Master’s office. 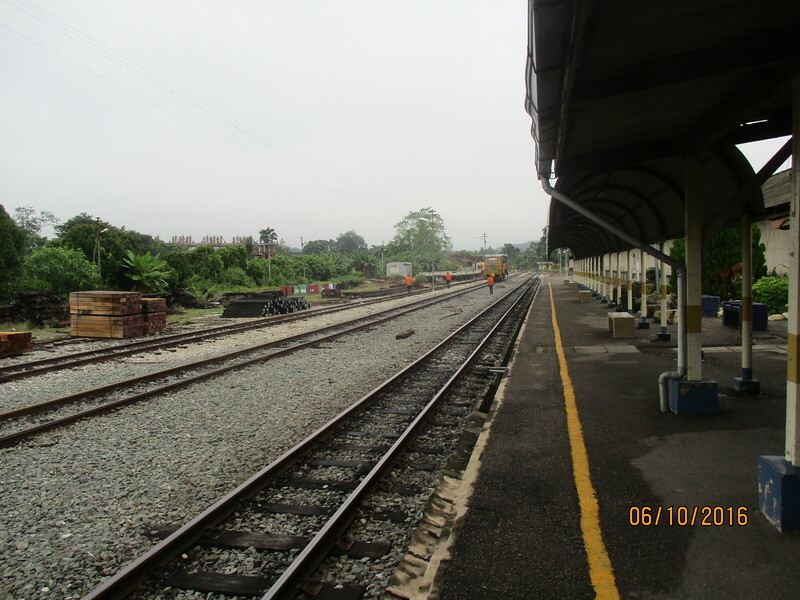 Marshaling control equipment , Kuala Lipis Railway Station. 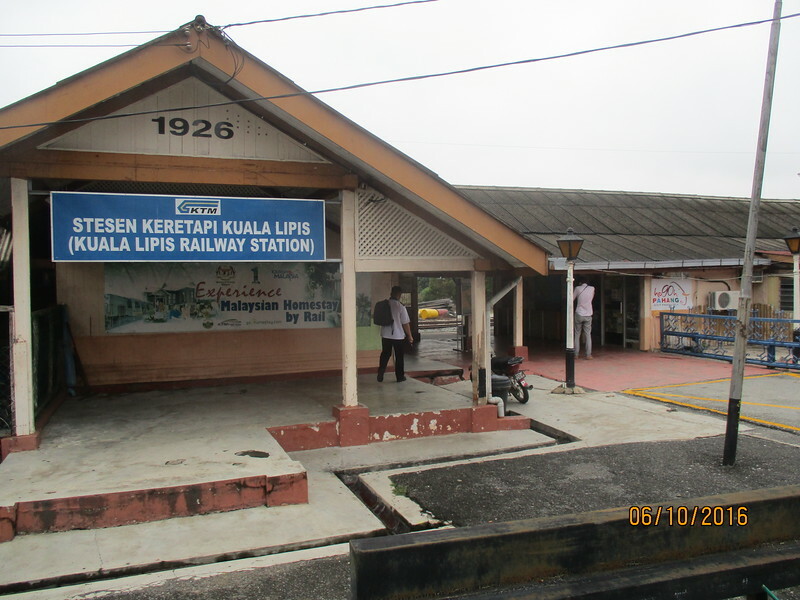 Started off the day with a visit to the Kuala Lipis railway station which is located in the old town area. 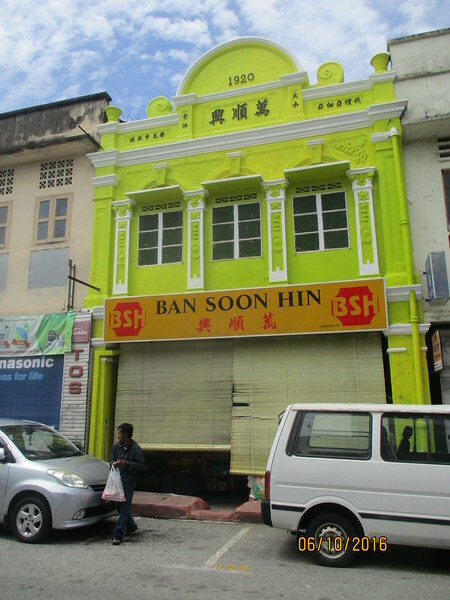 Completed in 1926, it became the catalyst for the town’s economy as gold and tin deposits were transported to other parts of Malaya. 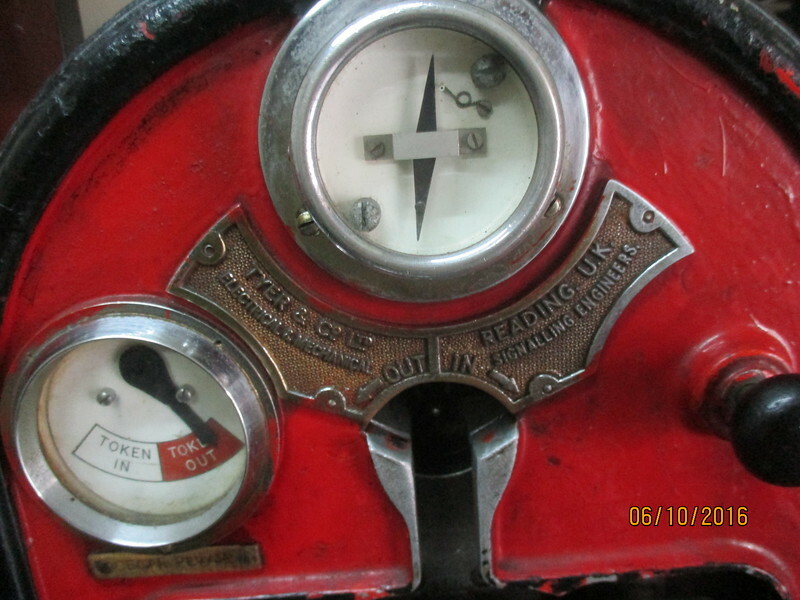 One could find signaling equipment made in the 1950’s still being used by the station… Made in Great Britain of course! 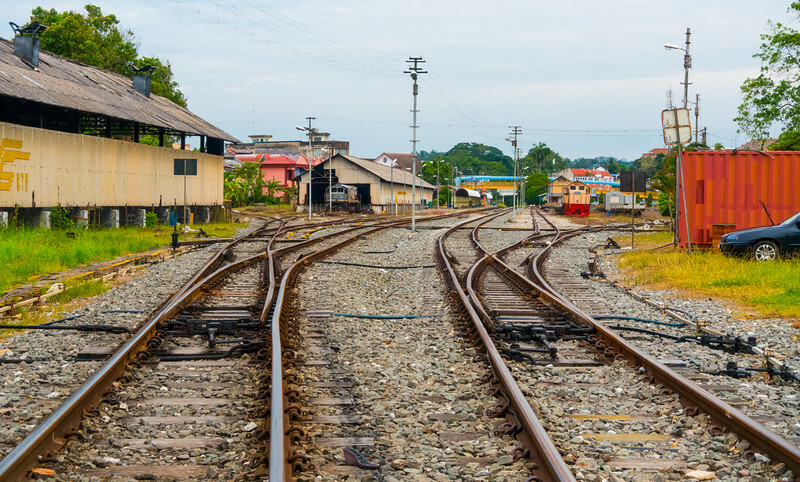 The station is on the Jungle Railway that stretches from Johor Baru in Johor to Tumpat in Kelantan. I look forward to experiencing that journey one day, In shaa Allah ( God willing ). Walked around the main streets filled with shops dating back to 1900. Some of the shops have been turned into budget hotels. 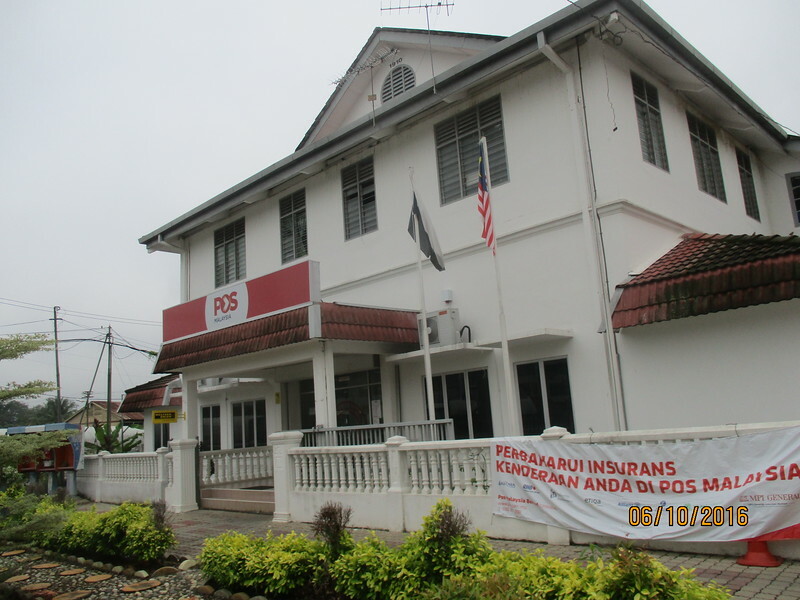 After a late breakfast, I started walking back to the Kuala Lipis post office where it was built in 1910. 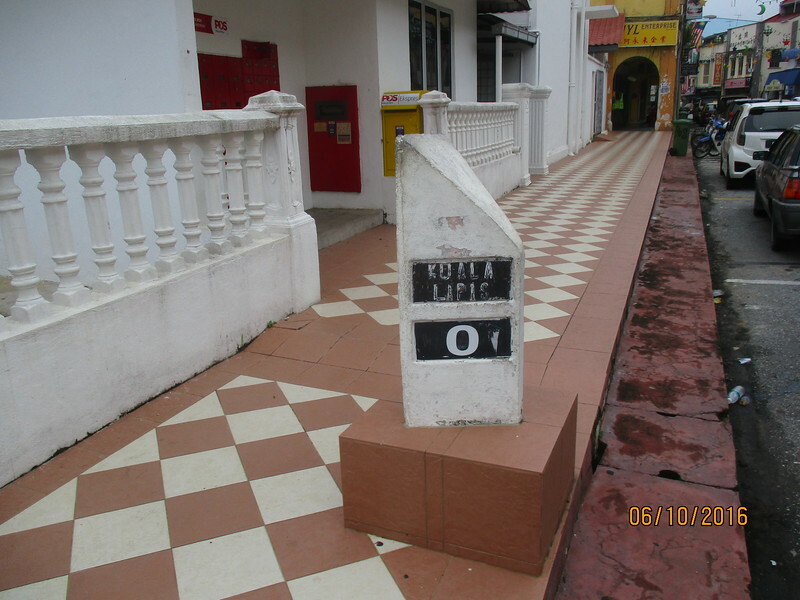 Located on the main road with it has the famous ZERO milestone just in front. 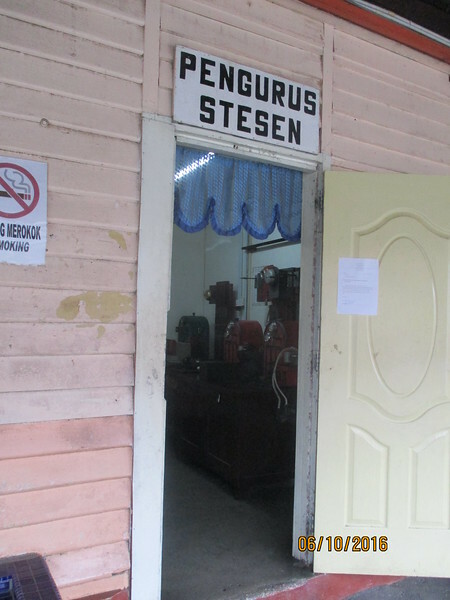 It acts as a distance calculating point for post offices in Malaysia that were built by the British. Initially, the entrance to the Post office was on the main street but due to the floods that occurred frequently, it was moved to where it is now. 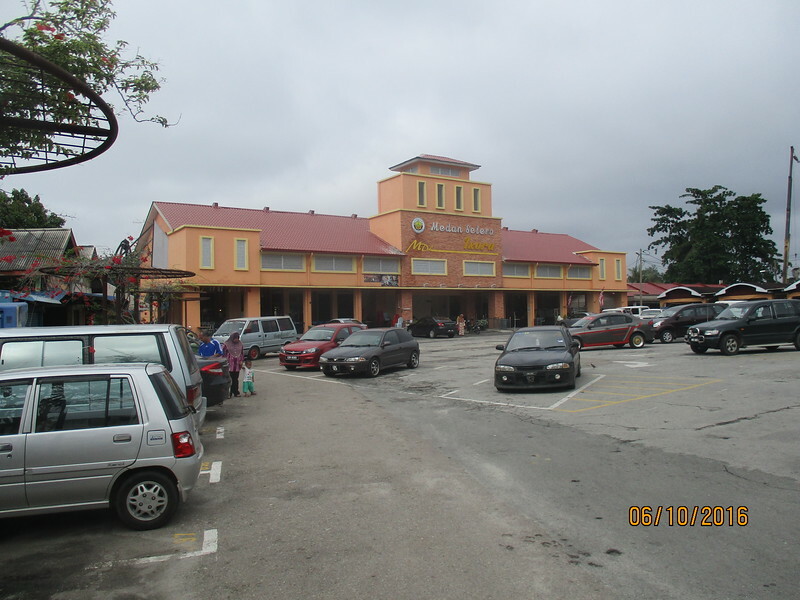 In 2004, the Kuala Lipis Post office was declared the best Post Office in Malaysia due to it’s service to the community and the beautification factor of the surroundings. 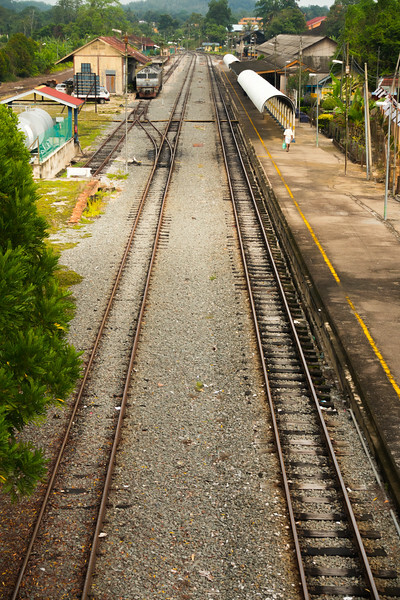 Continued walking along Jalan Jelai (Jelai Road ) which is adjacent to the Jelai river where the Thean Hou Buddist temple is located. 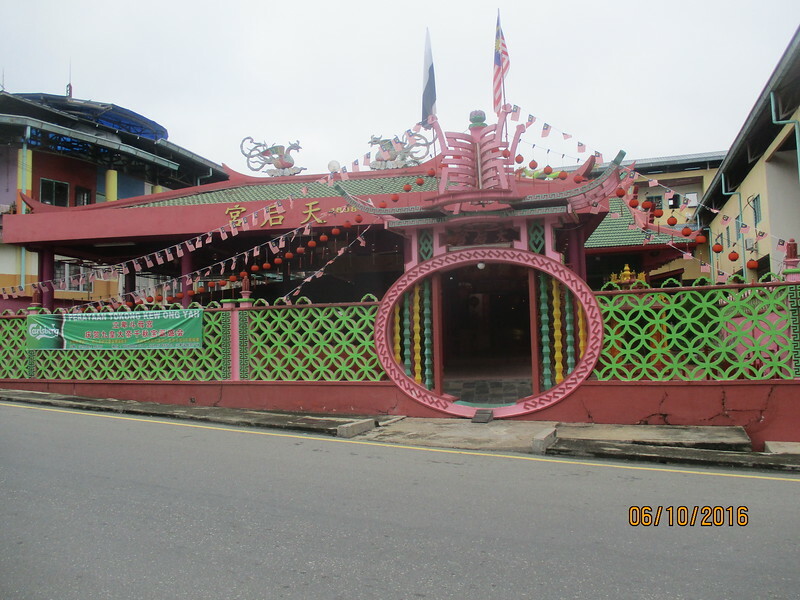 The Thean Hou temple was built in 1898 and was rebuilt after the 1926 floods. It is believed that the temple protects fishermen and it faces the Jelai river. 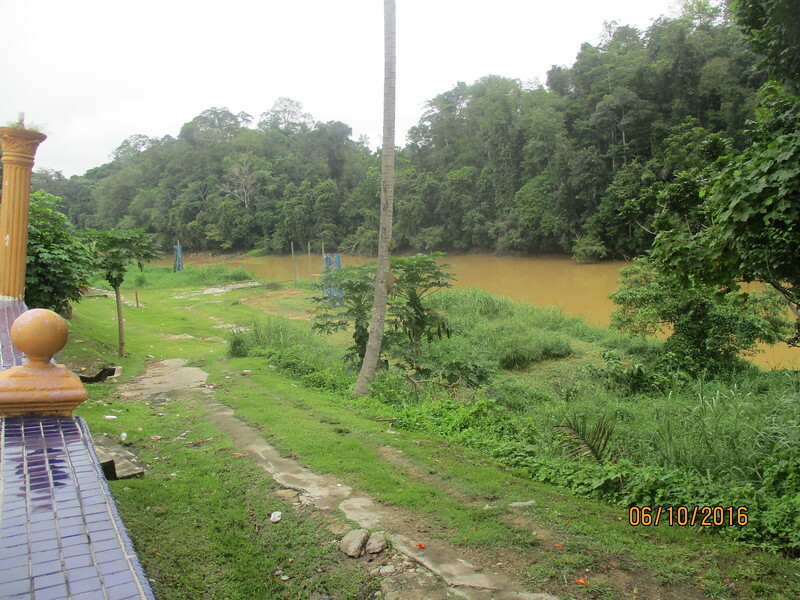 Along the banks of the Jelai River is the abandoned site of the Rumah Rakit (Raft Houses). 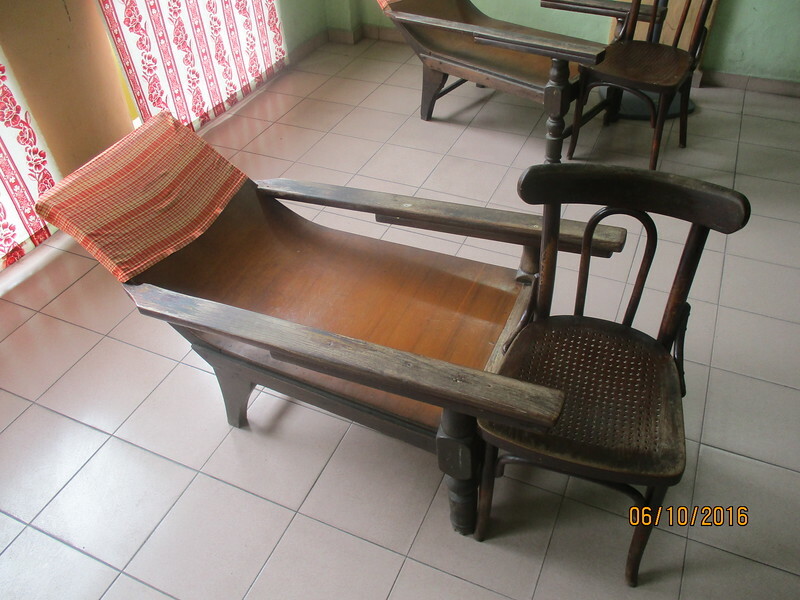 After floods that occurred on a regular basis the authorities decided to demolish them. 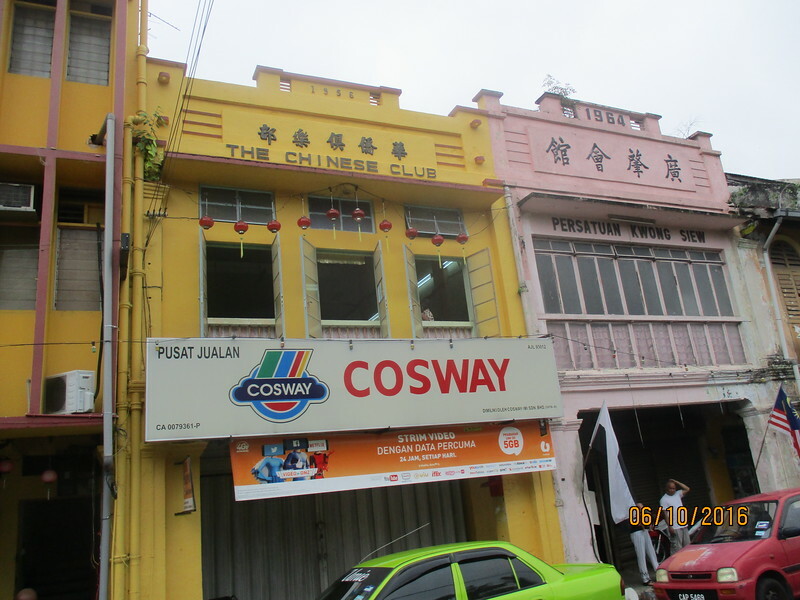 While walking along Jelai Road, I noticed a building with the words Chinese Club painted on it and being inquisitive, I walked up the side stairs of the building and entered the room on the first floor. 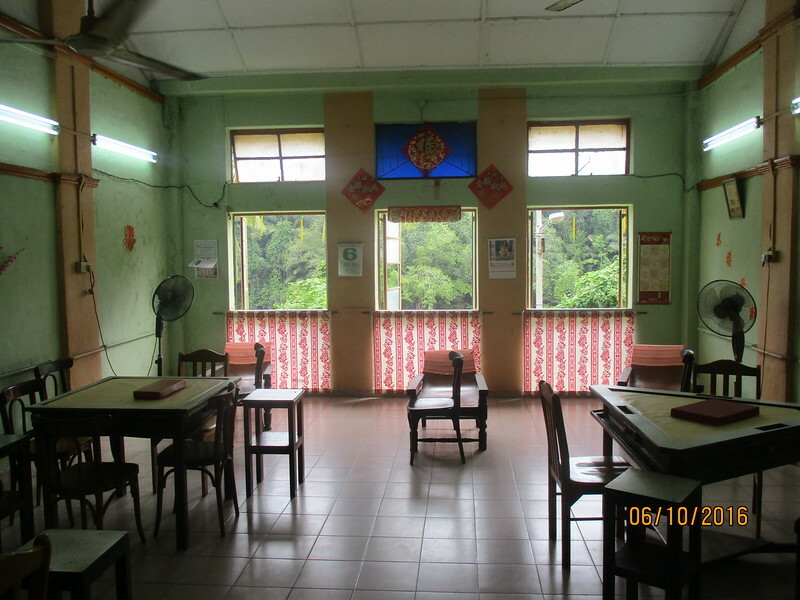 After gaining permission to enter the room, I wandered around the clubhouse of the Chinese Club of Kuala Lipis. 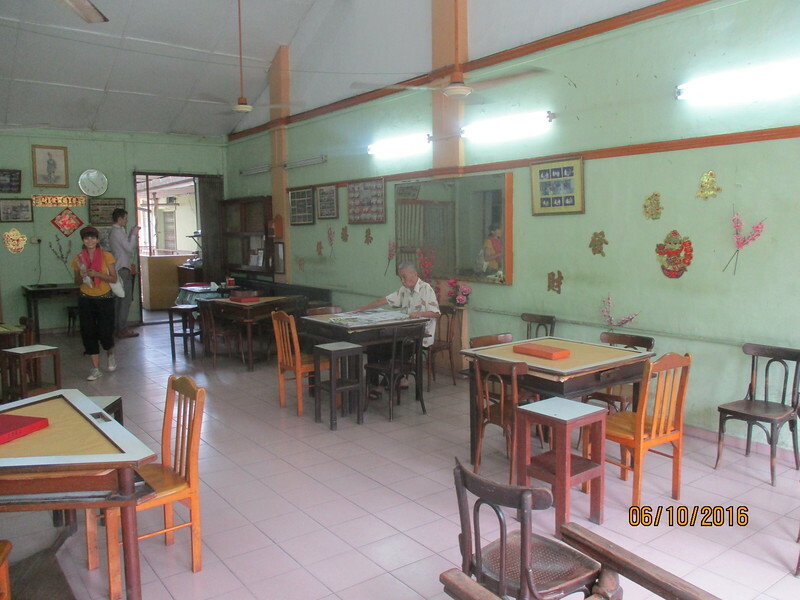 The clubhouse is filled with pictures of old Lipis and former members of the club. Mahjong tables and old relaxing chairs furnish the floors of the club. According to the manager of the club, members seldom frequent the club now as most of them are in their golden age and the younger generation are not that keen to become members. The club used to be the meeting place for Chinese ‘towkays’ where there would have drinks and played mahjong late into the night . At the end of the Jelai Road sits the former state mosque. 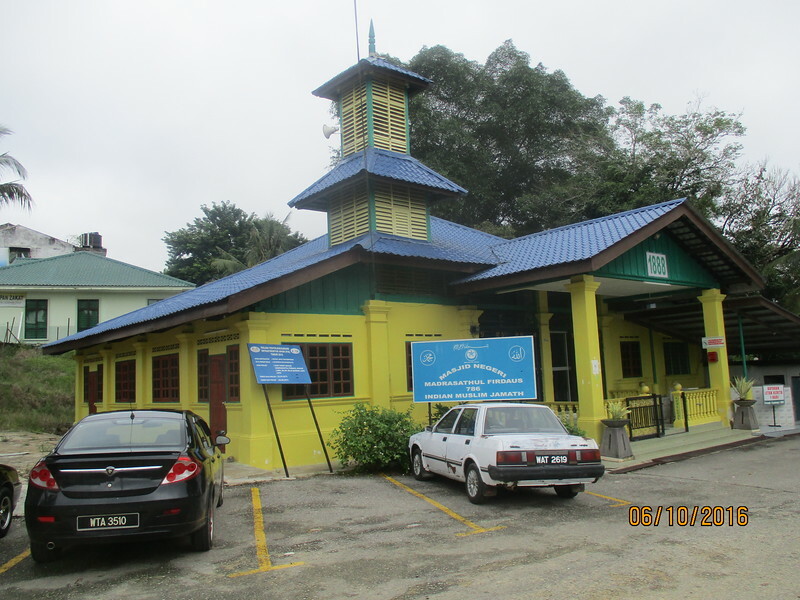 The former state mosque was built in 1888 and known as Madrasatul Fridaus is made mainly from wood. This mosque was built by a Yemeni merchant named Habib Hassan who traded in gaharu, a fragrant wood which is a highly prized item in the Middle East. 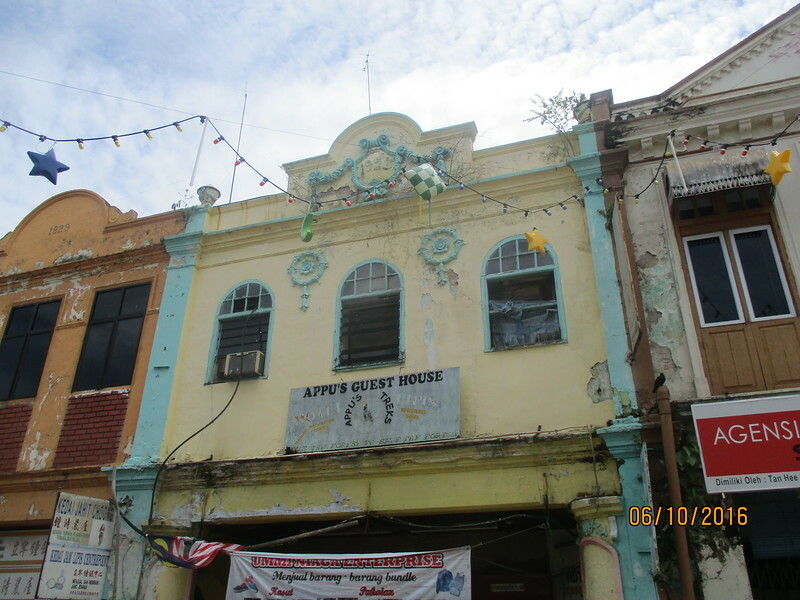 The mosque was the ONLY building along the Jelai Road that survived the 1971 great floods, untouched and unscathed.